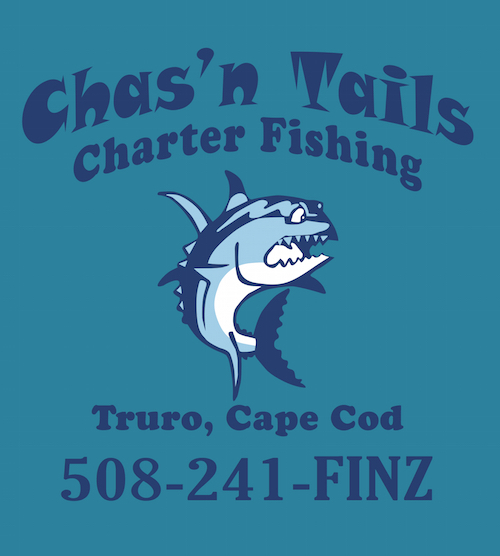 A Cape Cod Fishing ﻿Community﻿ with All the ﻿Resources﻿ You'll Ever Need - ﻿﻿So You Can Focus on Enjoying the Catch! Make your fishing more fun and productive, with constantly updated reports, videos, forums & more, plus access to a network of other passionate Cape Cod anglers. Get Access to the Membership! Listen to the region's only weekly fishing podcast with local experts to help you stay connected. Ask a question and get friendly, honest help and guidance, with no bashing and rude remarks. Join one of our weekly group fishing trips, and experience some of the best fishing Cape Cod has to offer. Learn the best techniques and most effective strategies, in an easy-to-digest and entertaining format. Access full-length videos of actual fishing trips, and experience what it can be like to fish the Cape. Access information and daily reports for striped bass, bluefin tuna and other popular species. Sign Up to Become a My Fishing Cape Cod Member And Get Instant Access to ﻿﻿﻿All of the Above﻿﻿﻿ (﻿&﻿ More)! Get Your MFCC Membership Now! Click the button above to see how you can get started for just $1.00 dollar, and still get instant access to all of our reports and all of our videos (yes, even MFCC University, Member Forum, Weekly Podcast, Group Trips, Meetups, more than 1,000 reports and videos!) plus even more. I'm happy to be a member! Thanks to My Fishing Cape Cod, I have met a bunch of really great fishermen. I never would have met these people without being part of MFCC. Thank you Ryan for running this gig. I'm sure it's more work than any of us realize, but it's such a great thing you do for the community. Being relatively inexperienced at fishing, spending time with Ryan and tapping into his vast knowledge has been wonderful. Ryan answered all of my questions and heightened my passion for fishing, without treating me like an amateur. It's a big one Dad! Just wanted to say thanks to Ryan and My Fishing Cape Cod. My family and I spent the weekend at Smugglers Beach and all the advice and tips that Ryan provided were very helpful in catching stripers. My son was most impressed when I pulled that first striper from the ocean. It was especially nice meeting some of the local anglers, and just talking about fishing like I had known them forever. Then to top it all off we stopped at the Canal on the way home. On my second cast I hooked up with a nice one, as my son was jumping and yelling "It's a big one Dad" - Great times! My approach and game plan has greatly improved, especially at the canal. Thank you Ryan for the information you provide on My Fishing Cape Cod. Your website and team has allowed me to accumulate years of knowledge in a short time, and has brought more enjoyment to my fishing at the canal and surf. Catching fish is a bonus, but knowing I am well positioned for the fish of a lifetime is exciting and makes my time on the water more enjoyable. My wife and I look forward to retiring on the Cape in a few years and I look forward to my toughest decisions being to fish, golf, or join my wife at the beach. Thank you for all you do and please keep the same approach you have now, no matter how big My Fishing Cape Cod may get. Your approach and sincerity in what you do serves you well in my opinion. I never miss a posting! I went from never catching a striper to catching them in my own neighborhood with the guidance from Ryan and this site. The reports read like good journalism-especially with the photos & videos. You've helped my son build up his confidence as a fisherman. Ryan - you've helped my son build up his confidence as a fisherman. I am not sure you really know what type of impression you have made on him. THANK YOU! Just got back from 2 days fishing up in Falmouth. This was my first time ever striper fishing, and I just wanted to thank you for all the info you post because it totally made the difference. I had a blast, and in 2 days I caught 34 stripers. Thank you again for all the pointers! Thanks to tips from Ryan I was able to catch my first striped bass this past summer. Suffice it to say that I'm hooked on surfcasting. Thank you for your kindness and generosity. The best investment I have ever made was to join My Fishing Cape Cod, and take a guided surfcasting tour with Ryan. As a novice saltwater fisherman, I've had limited success from shore. The best investment I have ever made was to join My Fishing Cape Cod, and take a guided surfcasting tour with Ryan. It was my best day of fishing I've ever had in fresh or saltwater. Our trip to Cuttyhunk was a great time. What impresses me most about MFCC is the quality people that you meet on the site. All posts in the forum are friendly, helpful, and show a desire to connect with nature and others through fishing. Your site has been a huge factor in helping me. First of all, thank you for all the work you do and information you provide-it has helped me more than you know. I've grown up my whole life fishing the North Shore, mainly the Merrimack River and Plum Island beaches/estuaries. A few months ago things cooled down up that way so I took my first trip to the canal and was immediately hooked-probably because it was a new challenge and something I could set my mind to. With lots of research/trial and error, and all the help from the MFCC Canal Forum, I have found multiple favorite spots, techniques, etc. which led to me catching just shy of 20 keeeper-size bass this year from the canal, which were all released. I finally caught my first fish on the Cape! Ryan, after years trying to surf fish (and using everything you suggested) I finally caught my first fish on the Cape! I’ve learned a lot from the MFCC site over the past few years. Having the opportunity to spend several hours on the boat with Ryan was another excellent learning (and catching) experience. Ryan is an excellent teacher and he does it in such a way where you don’t feel silly for not already knowing how to do something – whether it is applying a certain technique, or simply forgetting to use your thumb to guide line back on to the reel properly. I learned 2-3 new techniques and now have a lot more confidence in my ability to find and catch fish. You'll improve your fishing skills and knowledge of Cape Cod. Ryan has forgotten more about fishing than many of us will ever know. He’s a student and always learning - and sharing information. His knowledge of Cape Cod - from the surf to the bays to the ocean - plus his knowledge of the species, means he’ll be able to get you on fish. You’ll come away with some great memories - but also improve your fishing skills and knowledge of Cape Cod. I love this site! Where else can you post a question, get a response, and yield success in a 2 hour window? Thanks for helping me catch my first striper on my fly rod! I can't say enough about My Fishing Cape Cod. Between my group fishing trip last summer with captain Cullen, and my most recent surfcasting trip with Ryan, I've had some amazing experiences with MFCC. The trips, community and website have been a ton of fun. Try the $1 month membership and test it out for yourself. I did, and fishing has never been better. I joined MFCC because I wanted to get back into ocean fishing and surfcasting. After doing the trial one month membership and viewing the information and videos on the MFCC webpage, I knew this site was very different. Ryan gives all the members the ability to actively enjoy the membership by learning on their own, but also by going on fishing trips to meet other members and learn from Ryan and the other professional captains that work with him. Ryan has given me the opportunity to get the most out of my fishing experiences. If you enjoy fishing and want to become part of the MFCC community, try out the $1 month membership and test it out for yourself. I did and fishing has never been better. 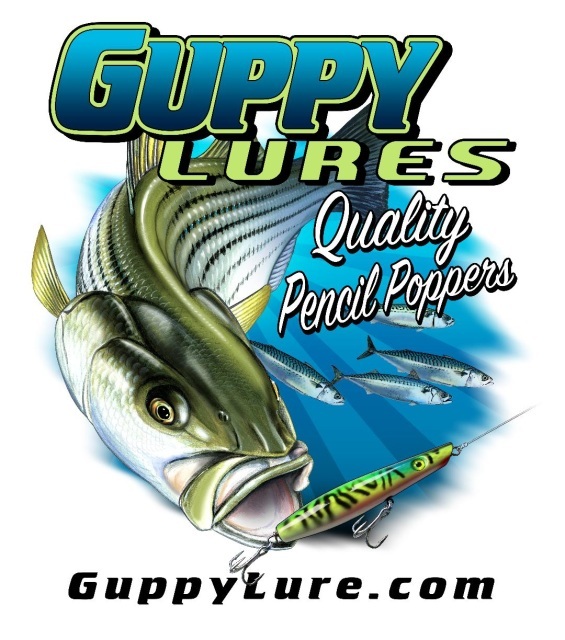 I have learned practically everything I know about Striper fishing from your blog, and from other members on the site. The members in the forum are great! Last week I posted about some extra fishing gear I was hoping to sell, and so far I've already sold 2 rods and 3 reels. The members in the forum are great! Thanks for helping me catch tuna! I joined My Fishing Cape Cod when I first moved to the Cape. Over the next three seasons I caught my first bluefin, followed by 9 more tunas from 60 to 85 inches. I owe a big thank you to MFCC, captain Cullen of Cape Star Charters, and the many others who helped me get started. Caught a 39 incher at the Sandwhich bulkhead, Thursday 6AM, on a Sebile swimmer in mac color. Biggest I have ever caught and I owe it all to MFCC. I've gone from struggling, to catching 100's of stripers per year. Thank you to Ryan, and all the members of My Fishing Cape Cod. I have only been a member for a couple of years, but I have learned so much from listening to the podcasts, reading the insightful posts, lure suggestions, and all-around great information. The amount of information Ryan's made available to members is unbelievable! My Fishing Cape Cod is a fisherman's dream. Having fished my entire life, I have been looking for a place to learn, share, and grow with other people who share this passion. Whether I am checking the forum/blog from work in my morning routine or listening to the weekly podcast, the amount of information on a daily basis is truly special. The community Ryan built has been a pleasure to be a part of in my first few months as a member! I've caught 4 stripers over 40 inches. Thanks to the help of your site I have gone from trying to catch my first keeper, to having caught four fish over 40 inches, all in less than a year at the canal. MFCC is worth every penny. Thanks for continuing to upgrade My Fishing Cape Cod and reinvesting in the Members. The monthly dues are worth every penny. Thank you for helping me put together a plan for the handful of days I was on Cape Cod. On my first night I hiked from Inman Beach to Swan River with great luck landing blues and stripers, using techniques mentioned throughout the website. The openness and information available for fishermen is unreal. MFCC has such a unique fishing forum. I really enjoy reading everything at the end of the day - such great info and very entertaining. I look to the expertise of "the MFCC crowd” for advice. Thank you Ryan for creating something we all wanted. Ryan, this site is outrageous! I could spend a month just watching the videos and reading the stories about the canal. I was expecting just a fishing report about various locations on the Cape that would give me a heads up in regards to spots to fish, methods and equipment to use-but I can see that MFCC is much more. I am really impressed with your site and will recommend it to others. My Fishing Cape Cod has given me the "salt life" that I've yearned for! Some of the greatest friendships and connections in my life right now are because of My Fishing Cape Cod. All of us have formed incredible life memories and we talk daily- we've all become super close. I have great pride for MFCC and really respect it. Its brought so many beneficial aspects to my life. It's helped make me the angler I've been striving to be, and honestly given me the "salt life" that I've yearned for! Thanks to everyone on this site who help out Canal newbies like me. I had never fished the Canal until this week, and with the info on this site, the forums, and the members, I didn't feel lost or intimidated by the "Big Ditch." I owe my success to Ryan and others who have advised me through MFCC. Until this season I had never surf fished in June and this was my "bucket list" trip. I cannot thank you all enough. I'd been following MFCC via email and Facebook for several months, before deciding to join. I think the MFCC site is AWESOME! Now that I'm a member, I'm sure I will enjoy the increased content that much more. I want to take a moment and thank you. I’ve been following MFCC since 2016, and all the fish we caught during my recent trip to Monomoy, were caught using techniques I’ve learned from your site. Thanks so much for being part of my learning experience. There’s a New Weekly Summer Recipe Series Starting Next Week!